Going to need gay alignment! 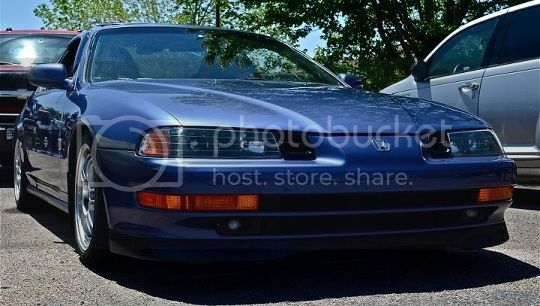 Hey all.. well im going to need an alignment since i just recently put my stock wheels on for this COOLD a s*s winter lol.. Well my mom just got her camero aligned cost 80 bills.. i asked him to give me a quote on how much it would be since its lowered about 1.5-1.75 in drop all around with the Mugen Showa suspension kit i have(if any1 didnt know). I told him i have not got an alignment yet and that i would need one with these tires. I told him also that i have 2 sets the stocks for winter and Mugens for summer weather so id need 2x alignments.. He told me there maybe a problem with the Mugens since they are 17in and he thinks i may need a camber kit or something..
Re: Going to need gay alignment! you don't need an alignment everytime you change rims Christopher. if that were the case, i'd be getting one weekly haha. only when you change your suspension geometry do you need an alignment.